ABP (<?xml:namespace prefix = "st1" ns = "urn:schemas-microsoft-com:office:smarttags" />Advanced Business Park) has another new member and the industrial development of ABP is more diversified. Recently, the 91 Health Mall of E-business Department of Liaoning Yihe Health Industry Investment Co., Ltd. subordinated to Yihe International Health Industry Group has entered the headquarters building No.23 in the West Six District of ABP Northeast China. So far ABP Northeast China has had more than 300 settled enterprises. The conglomeration effects of headquarters enterprises have been further strengthened. Yihe International Health Industry Group is an international and collectivized group based on the healthy industry. The group has nine wholly owned subsidiaries including Hongkong Yihe International Health Industry Co., Ltd., Guangzhou Yihe International Health Industry Ltd. Co., Beijing Yihe Healthspan Institute of Medicine, Liaoning Yihe Health Industry Investment Co., Ltd., Shenyang Jingmei Yihe Technological Co., Ltd., Benxi Jingmei Charity HelpAge Service Center, Fuxin Charity HelpAge Service Center, Jiuyi Health Club Limited Liability Company and Jiuyi Health E-business Limited Liability Company. The group has set up production bases in Zhengzhou, Wuhan and Guangzhou and the forth production base is prepared to be built in Benxi, the Pharmaceutical City of China in Liaoning. The group now has developed more than 30 kinds of products of 12 series, forming the technological core competitiveness of the enterprise and establishing its leading position in the health industry in China and even in the world. According to the introduction of Liu Hulin, the general manager of the 91 Health Mall, Yihe International Health Industry Group has integrated industry resources, “providing people with high-tech health products, the most advanced heath concepts and the most authoritative healthy ways and advocating green life and healthy life”. The “91 Health Mall” of Jiuyi Health E-business Limited Liability Company subordinated to the Group will be officially launched on January, 2016, which is now busy with internal tests before the official launch. The “91 Health Mall” depends on the Yihe International Health Industry Group, aiming at “opening a new era of national health network” and engaged in high-quality healthy food, health care products, rehabilitation physical therapy equipment, health electronic products and services to provide the whole people with safe, convenient, affordable and personalized shopping experience and services. The mall has integrated PC Browser, WAP Browser and WeChat Browser and has gradually provided users with high-quality healthy network shopping services and simultaneously provided many entrepreneurs of online shops with a large platform. ABP Northeast China is located at Shenbei New District, Shenyang and was fully launched on July, 2010. ABP Northeast China, as a demonstration project of “engine” effects in Shenbei New District, is a cluster area of enterprises integrating scientific researches, pilot scale tests and industries and a new starting point for the ABP model scale to walk to the whole country and even to the world. ABP Northeast has been divided into three districts including West Enterprises City, Central Ecological City and East Puhe Island, with a total investment of RMB20 billion. The initially built West Enterprises City and Central Ecological City cover an area of 7,500mu (1mu=666.67m2) and have a planned construction area of about 1,030m2. And so far it has been the wholly foreign owned enterprise in Northeast China with the largest area, largest scale and greatest total accumulated investments. 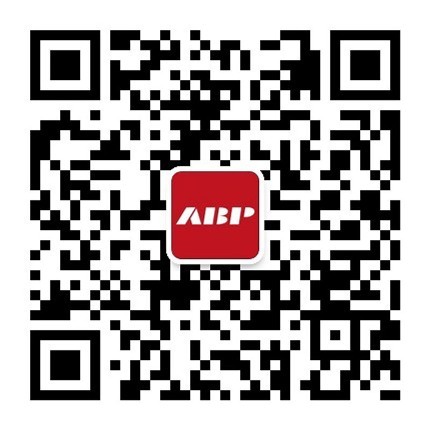 ABP Northeast China is the first systematic, large-scale, ecological, intelligentized and low-carbon and energy-saving industry headquarters cluster built based on fully summarizing and concluding the successful practice of ABP Beijing. The Phase I West Enterprises City was completed and delivered on May, 2012, Phase II was delivered and put into use on June, 2014 and Phase III was completed in 2014. At present, many famous companies at home and abroad has entered the ABP Northeast China, such as Postal Savings Bank of China, China Construction Bank, Hubei Yihua Chemical Industry Co., Ltd. and Eve Group.